With the release of SSC Exam Calendar 2017, we are sure you all must be geared up for your preparations of SSC CGL Exam 2017. We all know that the inspiration and the effort required to clear prestigious SSC CGL Exams is something which is already present in you. What is needed is just some perseverance and hard work to push yourself to do your best. Let us now focus on understanding the SSC CGL 2017 exam give our preparation a fresh start. Don’t be disheartened if you couldn’t clear the exam in your previous attempts, nor should you lose heart if you are a first time aspirant. What you need now is to gain perspective on what you should do for the upcoming exam. Perhaps the change in pattern affected you, perhaps the different mode of examination threw you off, or maybe, something remained amiss in your preparation. Learning from the past experiences, is ever more important for those who haven’t yet succeeded, and equally important is to gain from other’s experience, for the fresh aspirants. Building yourself up and improving on your mistakes while avoiding others’ mistakes will take you to newer heights and help you in clearing the examination. 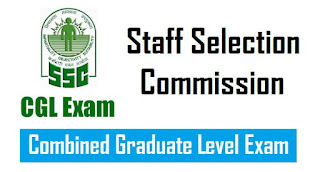 SSC CGL is Combined Graduate Level exam, which is conducted by Staff Selection Commission. It is held for various posts under SSC CGL Exam for the Grade B and Grade C posts such as that of officers, along with inspectors, auditors, examiners and assistants among many others. Each post comes with its own perks and benefits, and each of the candidate is supposed to measure which post is the most suitable for him/her, enumerating the priority of the posts in the application form. This year the notification for the same shall be released, tentatively on 11th March 2017. One must go through one’s preferences to gain insights about which posts shall be most suitable and preferable over others. The choice although not evidently clear, is not something which should take up a lot of effort on your part. Though the priority needs to be sorted well, what must also be the concern, is the level of preparation and the seriousness in the efforts you put in towards achieving the goal. Before moving onto the syllabus, we first talk about the scheme. SSC CGL 2017 notification will be released on 11th March 2017. This examination is scheduled to happen in three tiers or levels. The first two tiers remain common for the eligible candidates and the third depends on the types of posts one has applied for. The SSC CGL Tier I of the exam, which will be conducted in an online mode, is scheduled to take place from 19th June to 20th July 2017. The pattern of SSC CGL exam was changed last year i.e. there has been a shift in the mode of exam and number of questions asked in the exam has also changed. A total of 100 questions are now asked in the first tier with a composite time of 75 minutes, with 2 marks being awarded for each correctly answered question and a penalty of 0.5 marks for every incorrect one. With an observable decrease in the level of the difficulty for the questions being asked in tier one, the cut off for the 2016-2017 session soared up to 137 for the unreserved, this is nothing short of a testament to the level of competition that has been ever on the rise. The first and foremost step is to start putting in the efforts now. To know the syllabus and to then schedule your time to tackle the subsections is the next step. Start early and start better. Smart work is the key to success for this exam. It is also imperative that you learn to recognize the pattern that SSC follows. Keep in mind that most of the questions put forth during the examinations, will be recycled from the past questions only. Fortify your preparation by practicing the previous questions. Not only would this help you in getting aware of the type and level of the questions being asked, it would also help you gain an understanding and an assessment over your own skill set. Imperative is the need of being aware of the level of questions being asked in the paper. It simply won’t do, if you aim your preparatory goals with too high or too low a standard. Tackle each of the sections with equal focus. To put in all your efforts in one or two of the topics, and leaving out the rest of them, will leave you at a disadvantage over others. Work up a schedule to focus on the important things and devote yourself to the plan. We will here provide you with ample test resources and study notes to aid you in your studies and in your preparation for SSC CGL 2017. What is required from your part is dedication and a will to succeed. The regular practice sessions will help you in assessing yourself. Be aware of your strengths and weaknesses. Gather resources to gain opportunities in those weaker sections and put in your efforts to rectify those. Time management is another important aspect over which you should need to gain mastery. Not only will this help you in managing your time effectively during the exam, this will also help you in not overwhelming yourself with all the work. Remember a blunt axe can only do so much. Sharpen your skills but not at the expense of your own self. This section and the quant section remain present for the tier two paper as well. A total of 25 questions in the SSC CGL Tier I are asked, with each being marked for +2 and -0.5. In SSC CGL Tier 2, this changes to a total of 200 questions, with each being marked under the scheme of +1 and -0.25. English, chills many candidates to their bones. Dispel this unwarranted belief and rather focus on the things you can improve upon. Candidates need to focus on the vocabulary subsection for this topic to gain the upper hand. The topic of error detection i.e Spotting Error requires a strong hold on the basics of grammar. Sentence improvement would also become so much easier once the rules of tenses and phrases is cleared up, alongside grammar. Narration and voice remain on the easier side of the difficulty scale and hence is a topic in which candidates can score well, after realizing those few basic rules. It must be remembered by a candidate that rote learning of grammar rules can only take you so far. Apply those rules of grammars to your English speech. This will help you not only in better remembering the rules, but also in formulating clear and grammatically sound sentences in English. Flourish your English language with an interest in the subtopic of word usage. This will include your preparation for the topics of idioms and phrases, one word substitution along with synonyms and antonyms. Reading comprehension remains the favourite of many, as this requires only a sound mind while perusing through the paragraph. The combined efforts in vocabulary and grammar will help you tackle this section successfully. While the topics being asked are up till the 10th grade, the level of complexity doesn’t always remain so. Getting overconfident is one of the most terrible mistakes a candidate can do. The topics need a revision from the candidates’ side with a focus on the basics first and then a gradual shift towards the short tricks to save up that precious time. Repetition and regular practice is something which can hone up your skills in this section. Being accurate and quick remains the call for this time. The differing levels of the questions being asked for the two tiers, must not throw your focus off. Prepare yourself already with the focus on tier two level questions; this will help you in gaining that extra practice for the next level and also build up your preparation for the first tier. Immense practice with first the basics and then shifting towards the tricks would help you in fortifying your skills and then help you some more in saving up the precious time during examination. Algebra, arithmetic, geometry along with mensuration remain the important topics for this section. Candidates need to be well informed about the different type of questions from these topics. The topic of general awareness has garnered much appreciation in 2016 year’s examination session. This is the one topic which candidates should ardently devote some time to gain an upper hand over other competitors. With the ever rising competition in the government exams, the section of GA seems like a boon for those who are well prepared and a bane for the ill prepared students. So, we can say who are well prepared this subject have better chances to crack SSC CGL Exams. You all are advised to positively start brushing up the skills and get to know about the facts regarding various sub topics. Although it might seem vast at first glance, you can still tackle the sub sections with regular and timely efforts. The science and social sciences portion is something that generally always remain in this section. In addition, candidates must also keep themselves aware of the recent happenings in their surroundings for getting an updated view on the current affairs. While it might seem that the section is really vast, candidates should cover the basic and popular knowledge of the subtopics. Start with the topics you are most comfortable with. Practice regularly to remember the even most obscure of the facts and then move to those fewer difficult subtopics. It would include questions of non-verbal type. The test will include questions on similarities and differences, space visualization, problem solving, analysis, judgment, decision making, visual memory, discriminating observation, relationship concepts, figure classification, arithmetical number series, non-verbal series etc. The test will also include questions designed to test the candidate’s abilities to deal with abstract ideas and symbols and their relationship, arithmetical computation, and other analytical functions. Covering the general problem solving skills, one should focus on the topics in logical deductions and general logic application. While this topic remains on the simpler side of the scale, candidates must read the questions properly and then apply themselves to the problem, to avoid those silly mistakes. The topics of space visualization along with number series would be easily tackled by many, as would the relationship concepts. A few subtopics do require effort and time for solving them correctly and quickly in the examination. Candidates, should strive right from the beginning to practice enough questions, so as to quickly recognize the patterns present in the problem. In case, a problem ends up taking too much of your precious examination time, its better if you would switch to the next question and then come back to the problem if time permits.